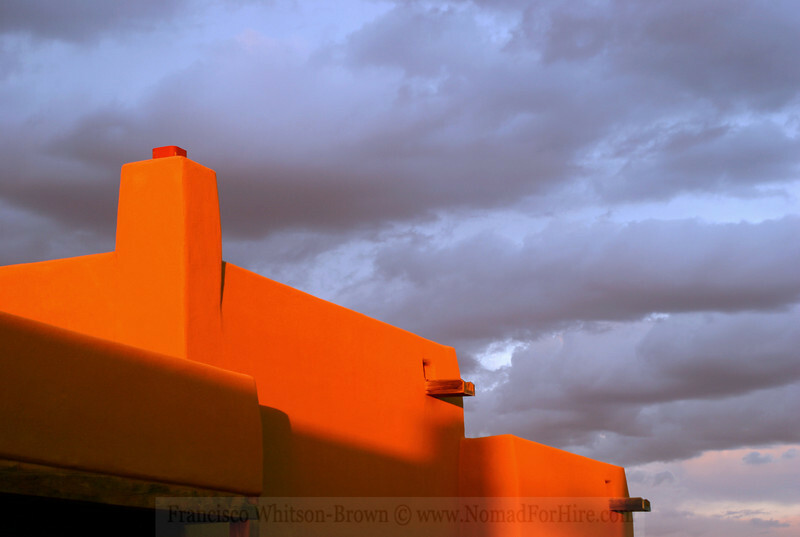 Santa Fe Architecture, lit up by a southwest sunset. New Mexico. Amazing lighting, and I love the way you've composed this. Great colors and fabulous drama.